According to the American Cancer Society, 1 in 8 women are at risk of being diagnosed with breast cancer. In support of Breast Cancer Awareness Month (BCAM), the women of the Remarkable Rho Xi Zeta Chapter joined their sorors in collecting wigs for the American Cancer Society. 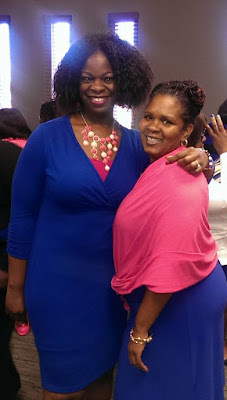 The Wigs for Awareness initiative of Zeta Phi Beta Sorority, Inc. collects new wigs or monetary donations. 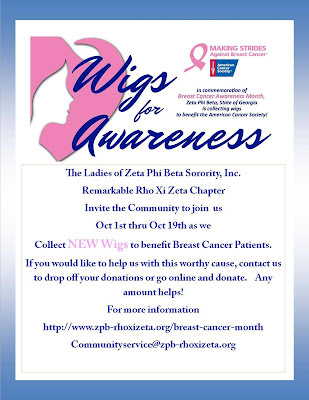 The chapter designated personnel/locations for wig drop-off, and collected funds via PayPal. 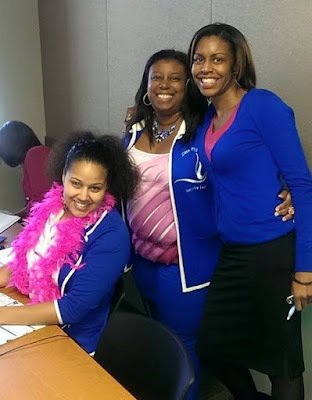 The proceeds of Wigs for Awareness assist women affected with appearance-related issues of breast cancer. 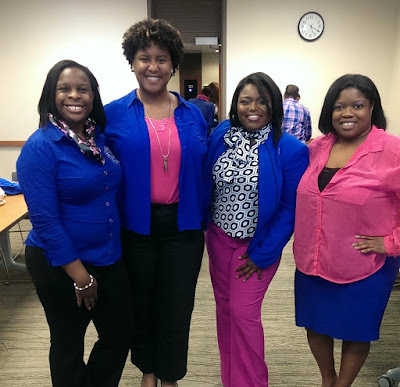 A few of the remarkable women also participated in a “Glow the Mall Pink,” 5K fun run in Kennesaw, GA. To show their support, the chapter sported pink and blue outfits at the October Chapter meeting.